Events-Past Archives - Miria, Inc. 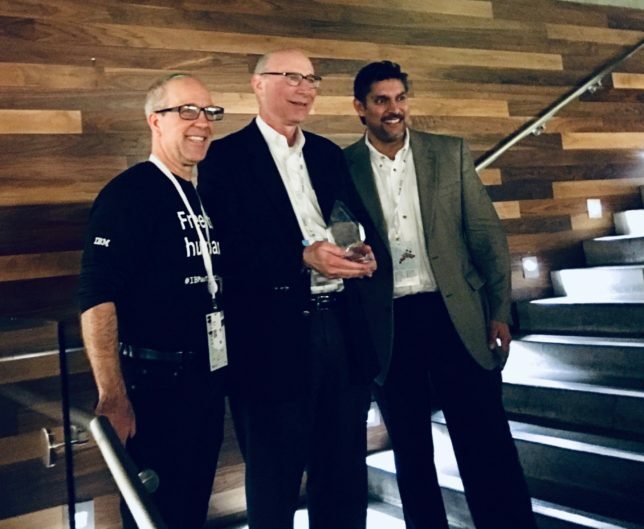 Attending the annual IBM THINK conference this year was even more exciting for the Miria team—one of its leading clients, Beverage Distribution Center, Inc. (BDCI), was presented the Business Automation Award for Employee Engagement at the 2019 annual IBM THINK Conference. Come visit us at the AIIM (The Association for Intelligent Information Management) 2019 Conference on March 26-28th in San Diego, CA. Members of our team will be available to engage with you and discuss the Intelligent Accounts Payable Business solutions that we offer. Be sure to come talk with us so that we can discuss how to digitally transform your AP and enterprise content management operations. Reach out if you have questions or would like to connect! 12-15th in San Francisco, CA. Booth #373 in Moscone South. Members of our team will be available to engage with you and demonstrate Miria’s industry-leading Accounts Payable solutions and learn how the future of business automation is becoming more seamless than ever before. Miria offers Polymorphic Intelligence automation in a cloud infrastructure to bring you a fully automated, configurable, seamless AP experience. OSG Billing Services Acquires Miria Systems, Inc.
Members of our team will be available to engage with you to discuss and demonstrate how Miria’s industry leading Accounts Payable solutions are meeting today’s FinTech revolution demands and our market’s trends. Miria offers configurable and flexible applications to digitally transform your AP business operations, as well as provide a broader corporate foundation for Enterprise Content Management.